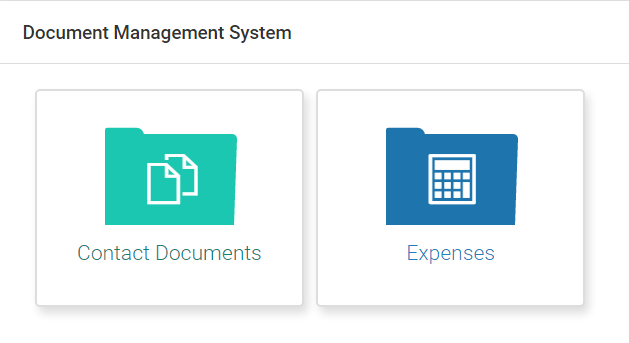 The Document Management System (or DMS) included within Sentle allows for the upload and storage of a wide variety of files that are related to your contacts and business processes. The articles in this section will take you through the methods for creating and managing folders including the upload and management of associated files. Within in a contact view the DMS can be accessed by selecting ‘documents’ from the top menu as shown below. When a contact is created, they are automatically assigned a ‘Contact Documents’ folder within the Documents area. It is within this folder that Sentle users are able to create new folders into which documents can be uploaded and stored. Clicking through into the Contact Documents folder will see the following folder options displayed from which new folders can start being added. Selecting ‘Create Folder’ will display the window below into which the new folder name will be added before confirming via the green create folder button in the bottom right of the window. When the folder has been created it will appear alongside the other options as below. Moving your mouse cursor over the folder will see it open indication the folder can be opened. Click the mouse to open the folder. The image below shows how folders can be created within folders. 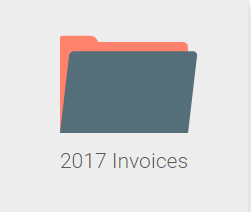 In this example the folders 'Feb 17' and 'Mar 17' have been created inside '2017 Invoices'.